The nitty gritty: once inside, you will dive into the Balinese atmosphere with its tropical garden and its stunning swimming pool. This contemporary architecture house features a huge living room and a dinner room facing the swimming pool for unique chilling-out. The opened kitchen (fully furnished) and the polished concrete work top bring a modern touch. Three bedrooms, all with AC, are facing the garden and the pool. Each of them has a dressing room and a bathroom for intimacy. 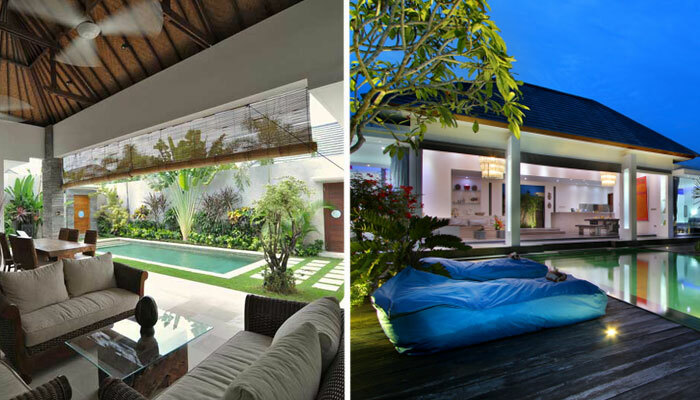 We bet you will spend unforgettable holidays in this authentic and sophisticated villa! Each of the three spacious bedrooms are equipped with a bed "king size", a TV and an en suite bathroom. 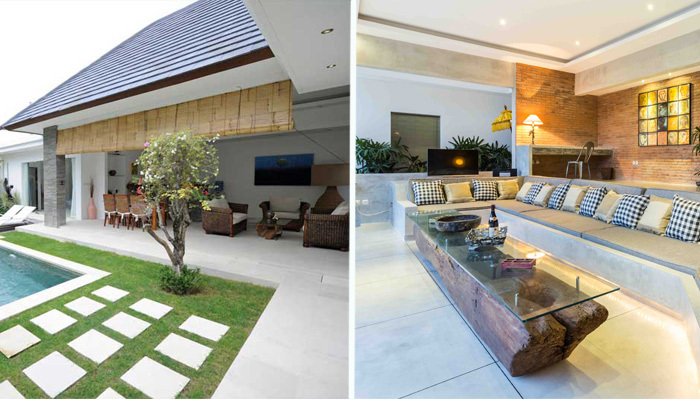 After active days of discovery in Bali, you can gather with your family or your friends around the large dining table or in the comfortable lounge located in the bright living room opens onto the swimming pool and the tropical garden. Unless you prefer to relax under the sun on one of the sunbeds or enjoy a cocktail at the outdoor lounge which overlook directly into the pool through a window. Once you passed the colossal entrance door, you will be greeted by a friendly Buddha statue and totally disoriented by the fishpond that you will have to cross stepping on large slabs of wood. Then you will enter the main building which houses the fully equipped kitchen, the dining room with its majestic table and the lounge where comfortably seated in the huge sofa you will enjoy the magnificent view on the lush tropical garden and the wooden deck which encloses the superb 12 x 5 meters infinite pool. 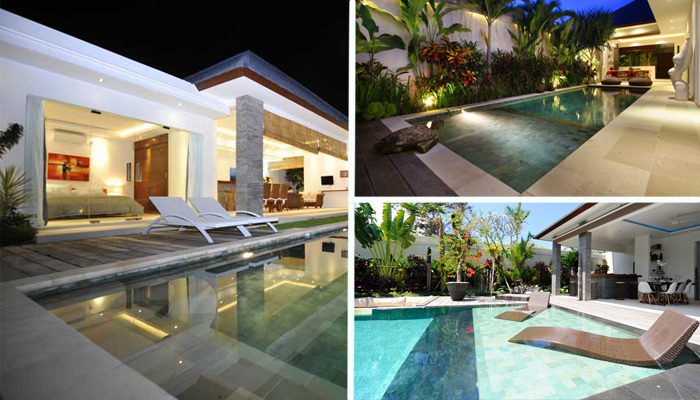 You have review for Villa complex-menjangan-bali?